DETROIT - January 8, 2007: The 2007 North American International Auto Show's (NAIAS) first of three Press Days at Cobo Center kicked off Sunday with a host of blockbuster product debuts. "The first day of Press Preview sets the tone for the entire show and we're off to a great start," said Robert Thibodeau, Jr., senior co-chairman for the NAIAS 2007. "This year we're expecting to see a special emphasis on technology and design in the products debuted at our show over the next three days. In addition, we have a huge national and international media and executive contingent in town. All the above solidifies Detroit's standing as the automotive capital of the world and the NAIAS as its premier automotive event." 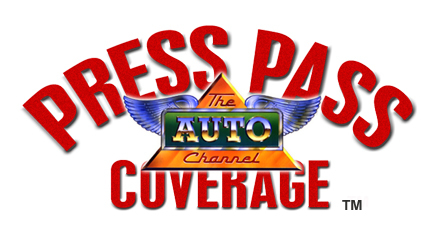 PASS COVERAGE of the entire Detroit Auto Show. In 2007, the Detroit Auto Dealers Association (DADA) will celebrate the centennial of its successful association with the North American International Auto Show (NAIAS). Since its inception in 1907, the show has grown from a regional event featuring 17 exhibitors to an internationally-sanctioned show with over 90 exhibitors, adding more than $500 million to the metro Detroit region last year alone. With the support of Detroit area auto dealers the NAIAS features more new vehicle debuts and garners more media coverage than any show in North America. Press Preview Days will be held Sunday, Jan. 7 through Tuesday, Jan. 9, 2007. Industry Preview Days will be held on Wednesday, Jan. 10 and Thursday, Jan. 11, 2007. The Charity Preview will be held Friday evening, Jan. 12, 2007. Public Days are Saturday, Jan. 13, through Sunday, Jan. 21, 2007.